I’ve always enjoyed celebrating the seasons and the holidays I grew up with. And this time of year, it seems each holiday just flows into the next: the Autumn Equinox in late September, then Canadian Thanksgiving in early October, then Halloween, then U.S. Thanksgiving in late November, then Christmas, then New Year’s. See what I mean? And yes, it is super fun (i.e. delicious) celebrating Thanksgiving twice. I couldn't resist the plush pumpkin! As a kid, fall, Halloween and Thanksgiving were my favourites. Where I grew up in Wisconsin, trees turned a fabulous host of vibrant colours, like one last glorious hurrah before they crinkled and blew away. Walking to and from school, I remember the thick rows of leaves that always seemed to accumulate at the side of the sidewalk. Shuffling my feet, I’d kick through those leaves and just smile. In yards or outside of stores, I loved seeing dried, full corn stalks bunched together, their tassels bobbing in the breeze, a pumpkin or two at their base. In the U.S., our Thanksgiving is in late November, so Halloween came first. Halloween as a kid was filled with happy ghosts and witches, innocent bats and spiders, and pumpkins, lots of pumpkins. I decorated my room with any extra holiday paraphernalia and the pictures I drew with harvest and Halloween themes. My Thanksgiving memories are many, but perhaps my favorite is of getting up early and coming downstairs to see my mom putting a gigantic turkey in the oven. With five kids, my mom was busy, but she always made each holiday special. Now I’m in western Canada. Our fall comes earlier and our gorgeous autumn leaf colours are dominated by the blazing yellow of aspen. There are not many corn stalks kicking around for decorations, but there are pumpkins! Our Thanksgiving is in early October, which means that in stores, Halloween and Christmas decorations are out at the same time. I try to keep my fall decorations and vibe going from the Autumn Equinox to U.S. Thanksgiving, and try to coral Christmas kick-off to Black Friday. I try, I try so hard, but do you know what comes out now? Christmas novels. I know, right?! The new ones are out in the stores and available online. I love reading Christmas stories and . . . I’m actually going to say it . . . I love Christmas movies. I have never met anyone else who loves them as much as I do until the other day. I was having coffee with CJ Carmichael and I asked her if she had seen the new series The Good Witch. It is a Hallmark series and spun off seven Hallmark movies. I’ll admit, there are moments of cheesy, but as the title suggests, it is a show about a Good Witch. I’ll watch year-round, but just like the kind of Halloween I liked to celebrate as a kid, it has happy witches who help people. When I bashfully ducked my head and said, “I love Hallmark movies.” CJ Carmichael answer, “Me too!” Then of course we started talking about our shared delight of Christmas movies. I’m not alone! There is another person who loves holiday shows as much as I do. This season just got better . . .and possibly filled with more wine. You know what else? 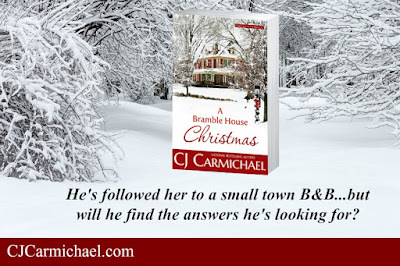 CJ Carmichael just released not one, but TWO Christmas stories! 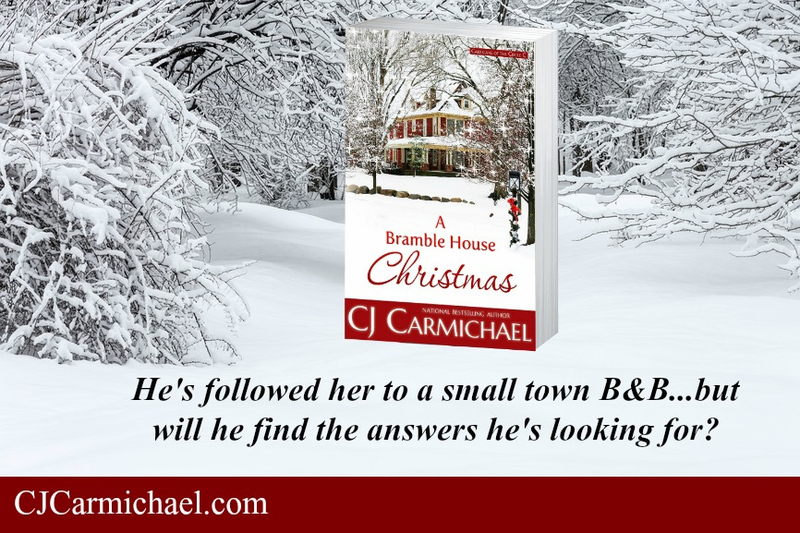 A Bramble House Christmas and she’s in the anthology A Montana Born Christmas. My Christmas season is indeed starting in October this year. The pumpkins will just have to play with the reindeer. Oh shoot, I forgot to ask CJ if she likes doing Christmas puzzles, too . . . 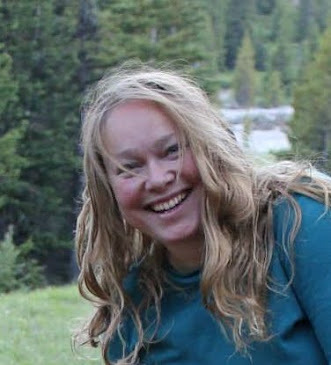 Thanks for including me in your blog! Can't wait for our Hallmark Movie night!